Hello! Just popping by to remind you that Vicky and her Mum will be at Oakwood Farmers Market tomorrow morning. They will be taking lots of our lovely veggies as well as a great range of plants. Perfect for adding a bit of colour to your garden. And of course they will also have plenty of our luscious forced rhubarb for sale too. The farm shop and the nursery will of course be open too all weekend. 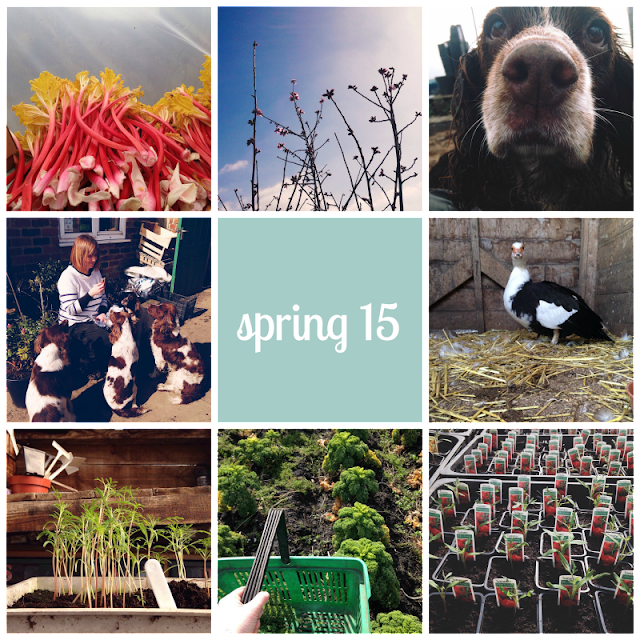 If you follow us on Instagram you can keep up with all our spring sowing, planting and harvesting. We've been very busy getting tomatoes and chillies potted up this week all ready for the coming summer months. There are lots of good things to come! (All of these images have been taken from our recent Instagram updates - find us @whiteleysfarm). Have a great weekend and we look forward to seeing you soon.